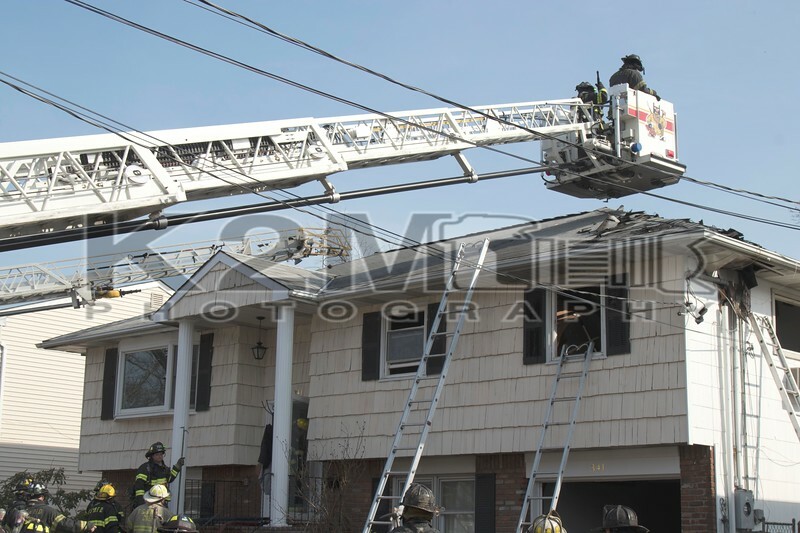 On the afternoon of Monday, April 8th, 2019 the Franklin Square and Munson Fire Department was called to a house fire [reported attic fire] on June Place off Theresa Avenue. When firefighters arrived on scene, they confirmed a fire in the attic area of a two-story private dwelling and a signal ten [working fire] was transmitted. Two hand lines were stretched with one line in operation off first due Franklin Square Engine 711. Additional mutual aid was provided by Malverne, West Hempstead, Hempstead, Elmont and Lakeview among others. The cause of the fire is under investigation and all fire department units were under the command of Franklin Square and Munson Chief of Department John Salzman . Click here to see the rest of the images from K2M Photography’s gallery, June Place [4-8-19].